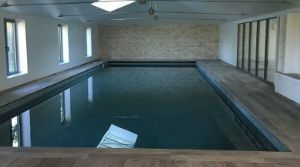 Are you looking to have your pool renovated in time for the summer but not too sure where to start? 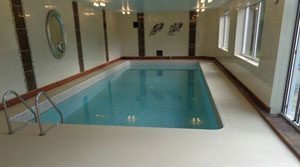 Neptune offer a free no obligation quote… Liner replacements, re-tiling, copings, patios, filtration systems, safety flooring and much more. Neptune has access to specialist contractors who can provide safety rubber flooring or bespoke surround finishes using a range of resin bound aggregates. From the traditional white bull nosed copings to our range of natural stone copings. We have something for every taste and budget. 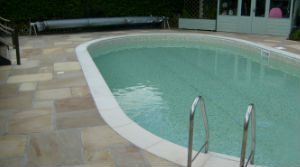 By replacing a set of coping stones with either matching or contrasting pool surround even a tired pool can be given an instant lift. Why not take a look at the new resin bound surround with a permable seamless finish. It can be laid to any size or shape. 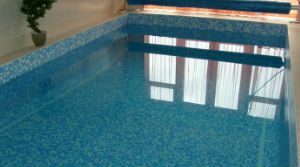 With a modern liner your pool can be instantly transformed & with a wide range of colours & styles available there is something for everyone. From traditional domestic liners to our range of commercial bespoke lining systems which come with a 10 year guarantee & felt underlay to internal walls & floors for a luxurious feel. The best way to make a pool safe without an unsightly fence is to use a safety cover. 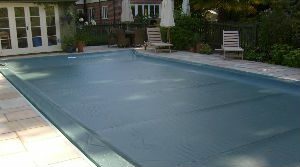 With a lockable Coverstar safety cover you can rest assured that your pool is left safe & secure. With basic rectro models that can be installed on to almost any size / shape pool to a top of the range bespoke design. With in wall tracks & hidden pit mounted we can accommodate any requirements with ease. Covers come with rainwater removal pumps & in a range of attractive colours. From a standard in wall model to a top of the range Fastlane model. 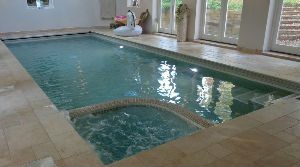 A swim jet can transform your pool instantly and give you additional health and wellbeing benefits from swimming against a current. 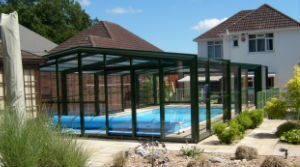 With a changing climate why not extend the swimming season with a pool enclosure. With low level that can be installed in 1 day to full height retractable models with lift up side panels. There is an enclosure for every pool. We can offer motorised operation & even accommodate bespoke design to incorporate existing buildings. Often the first thing to need attention on an old concrete pool is the tile band. A new tile band can be just the tonic to rejuvenate a pool and bring it back to its former glory. With numerous options on mosaic tiles we can supply and install to any taste & budget.